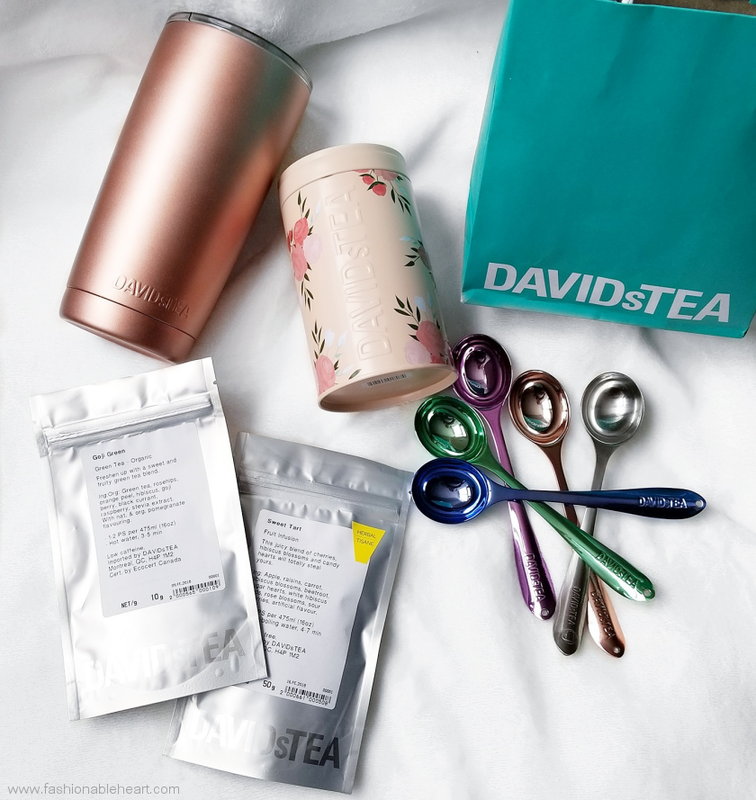 DAVIDsTEA put out such a pretty collection for Valentine's Day this year! A collection full of pinks, florals, and rose gold will always win me over. If they had put marble in there, I might have fallen over from swooning so much. My husband knows these things and y'all...the man got me some winners from the collection for Valentine's Day. And don't worry, they still have some of it available online and you might can get lucky in stores before they run out of stock. The Rose Gold Perfect Tumbler really is perfect. They often offer different colors and designs, but I love the rose gold. It fits into cup holders easily and keeps drinks hot or cold for around 9 hours. And the clear top slides open to perfectly fit a straw for your cold drinks. Now I can use my S'well bottle that I love so much for my water and carry this for my other drinks. I'm a bit of a hydration-holic. The Peony Pink So Rosy Tea Tin is so cute. I'm torn between using it for my tea storage or using it on my vanity. Definitely the prettiest tea tin I have seen yet! As far as the teas go, he got me a pouch of the Sweet Tart tea that is limited edition. Apparently, it's a big hit and has been flying off the shelves. They seem to only have it in the travel pouch online now. And to celebrate Chinese New Year, they gave him a pouch of Goji Green. Also in the collection, is the Rose Gold Perfect Spoon. My husband got me the gold one when it first came out one Christmas, so I guess he's keeping with a theme. He grabbed me four other spoons just because- lilac, cornflower, silver, and dewdrop. There's a lot of colors available and limited ones that come out here and there, so I think he might be on a "buy all the spoons!!" mission now. Oh boy! I guess now I need to find the best way to display these, as it feels wrong to shove them in a kitchen drawer. They are great spoons though, perfect for scooping out tea and coffee! DAVIDsTEA brought out a heck of a Valentines Collection this year. I can't even pick favorites from it. There are more items online and again they are still available right now! And if you go to DAVIDsTEA, please tell me your favorite tea(s) that you get. When I go, I find I often focus on the LE and holiday teas and not so much their everyday options!